KC Rosa: Adieu Cirque du Soleil's Saltimbanco! Adieu Cirque du Soleil's Saltimbanco! Today is the last day fo "Saltimbanco" in town. As some of you may know I am a huge Cirque du Soleil fan. So far I have to say that Saltimbanco is my second favorite after "O" which just blew me away. 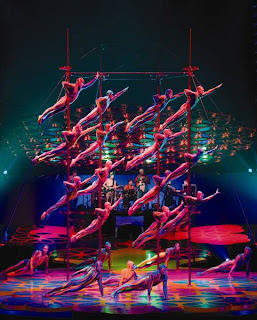 Saltimbanco has the perfect combination of breathtaking performances, great live music, original customes and just the best of the best talent in the world.